This auction is for a July/Aug 1988 Cross Stitch & Country Crafts. This used magazine is in good used condition. 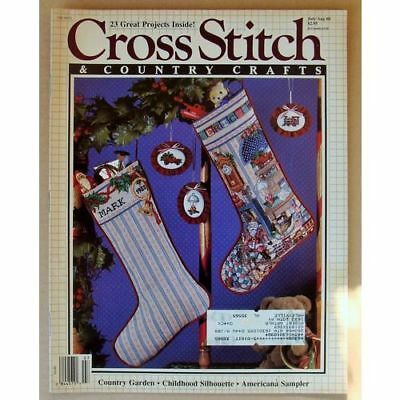 It has 30 pages & I will be including some other cross stitch Surprise Patterns & cross stitch item. Out of Print EVERYTHING THAT I SELL IS DESCRIBED TO THE BEST OF MY KNOWLEDGE.